A drug to treat an advanced form of kidney cancer will not be made available on the NHS in England and Wales. The National Institute for Health and Clinical Excellence (NICE) ruled that everolimus, which can prolong life in some cases, was too expensive. The charity Kidney Cancer UK, which appealed against earlier draft guidelines, said it was disappointed. Each year, 4,000 patients are diagnosed with advanced renal cell carcinoma. Two drugs, sunitinib and pazopanib, have been approved for use by the NHS. Everolimus, also known as Afinitor, has been shown to increase overall survival in cases where the other two have failed. It costs more than £200,000 per patient for a full course of treatment. Sir Andrew Dillon, NICE chief executive, said: "We regret not to be able to recommend this drug, but we have to ensure that the money available to the NHS, for treating cancer and other conditions is used to best effect, particularly when the NHS, like the rest of the public sector, is under considerable financial pressure." 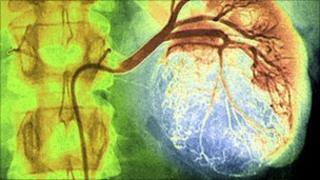 Dr Pat Hanlon, from Kidney Cancer UK, said his reaction was: "one of deep disappointment". He added: "We know the NHS cannot afford all drugs, but they are effectively robbing people of a few months of life." He recommended that doctors and patients apply for help from the government's cancer drug fund, which can be used for medication not approved by NICE.